Please share your experience here if anybody have tried installing Kayako Desktop on Linux or Mac OS X using Wine or CrossOver. Found some threads about LiveResponse installation on Linux, in which people had issues using it. Hoping for positive responses this time for Kayako Desktop! For detailed information on what works and what doesn't visit my blog. Not exactly useful information. While I agree that finding out that 'it works' is a plus, not sharing any tips about how you did it is a big minus. I'm on Ubuntu (10.4, Lucid Lynx), and I am currently evaluating the product. I don't have (easy) access to a Windows box to test the Desktop stuff so I would appreciate some tips about how to make it work with Wine. I am able to install the Desktop, but it crashes when it starts. The first time I've ran it I was able to enter the account information, the application window showed, then it crashed. Subsequent runs resulted in the application window showing and then it crashes. Any tips? Kayako Desktop's dependencies must be installed with Wine on Linux. I actually complied the latest beta package of wine from source code and installed all needed dependencies of Kayako Desktop to make it work properly. Try using 'winetricks' to install dependencies like 'Internet Explorer 8' and required DLLs with wine. Hope this information will be of some help for you. Thanks for the info, I appreciate it. But, for me and (I just assume) several other users that might need at some point the application to work on Linux to some extent, where could I find a complete list of dependencies for KD? I am not very good with wine debugging so I have to admit I don't have many clues about what causes the app to crash. I will definately start with IE8 and go from there. Thanks again for the time you take on this. 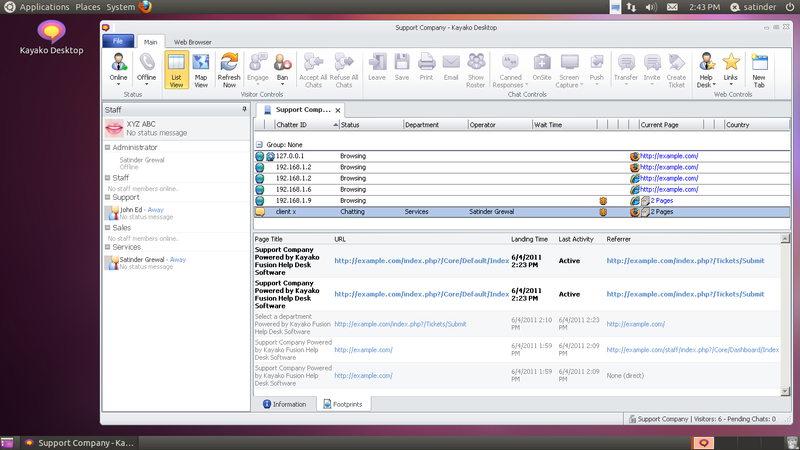 I have finally completed the installation script of Kayako Desktop to install on Linux. Made three packages according to the distros that I have tested these one. 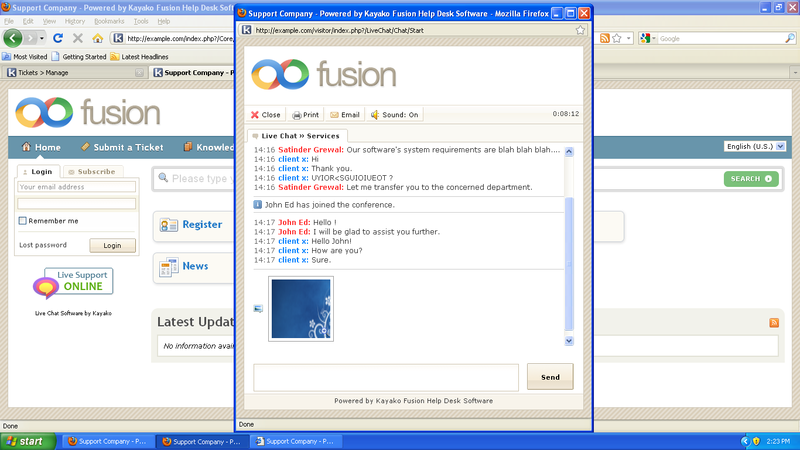 I will soon upload the package files for Ubuntu 11.04, Fedora 15, and CentOS 5.5, and share the links here. Thank you very much for your time spent on this. I will be one of the first to test those and give you feedback about the scripts as soon as they are up. Hello, have you already uploaded the packages for ubuntu? I've started with winetricks, installed IE8 but now, what's the next step? what are the other DLLs needed in order for the KD to work? Hello, have you already uploaded the packages for ubuntu? Thanks you for taking intrust in my work and appreciation. As usual, in last minutes before I upload the packages online, something else came to my mind. 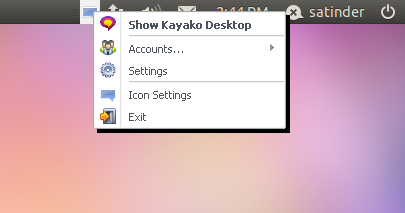 The installation script earlier could only run the installed Kayako Desktop in my package. However, it could be difficult for other users to update Kayako Desktop to latest build who are not much familiar with wine. So, I added another script in package, which will download the latest version of Kayako Desktop and install it on the system. The packages will be of about 112 MB. I am currently out of city having some good time in weekend, so I'll most probably upload the packages by this Monday-Tuesday. Whether prompt please it has turned out to make at you that that you planned, and it is possible to see result of the operation done by you? - Scripted using Shell script and complied to binary using ‘shc’ utility. - The package contains a standalone installation of ‘wine’, which will not affect your existing ‘wine’ installation of your system. - As the standalone ‘wine’ package is included, that made the packages of size 112 MB. - For more information read the ‘README.txt’ file included with the packages. The download links are available on my blog at the following link to download the packages for Fedora, Redhat, CentOS and Ubuntu. any chance for a mac version ? 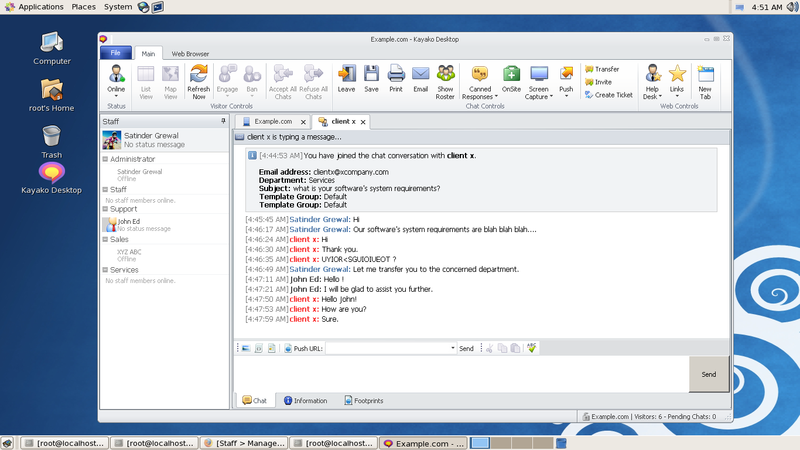 Kayako is already working on Mac version of Live Chat client for their version 4 help desk. Let's see when they come up with a native chat client for Mac OS X.
I'm not so sure if they will be releasing any live chat client for Linux/*nix users, so this 'wine' emulated version of windows native client is good to try. I tried to install Internet Explorer 7/8 and Kayako Desktop on Mac using WineBottler, but did not get success. Internet Explorer was working like piece of crap! and due to this Kayako Desktop did not function properly (however, I did not face any issue running Kayako Desktop like any other windows application on Mac using wine emulation). If I get enough free time to compile wine on Mac, then I will try to sort out these things. I think IE and Kayako Desktop should work the same way on Mac as they work on Linux, because the emulation is same on both platforms (wine). I hope you can manage it somehow, because kayako is not planning a mac os x app so soon as you can see in this topic http://forums.kayako.com/threads/mac-os-x-onsite-executable.24046/, they haven't even started developing it. I will surely try my hands again to make Kayako Desktop emulate on Mac OS X. But I can not assure you about this, as I will be experimenting on my Hackintosh! Hi not work ubuntu 10.10.